As promised, I want to share with you all some of the behind-the-scene details from my son’s Bar Mitzvah this past Shabbat. I am going to be really honest with you guys about money, even though, quite frankly, it scares me to be this transparent. I’m doing this despite how intimidated I feel about it because I’ve always maintained that a lot of our individual and collective issues with money stem from lack of information and lack of transparency. That’s why I shared our whole “get out of debt” story with you six years ago — not to brag, G-d forbid, but to encourage anyone else who may be similarly struggling. Maybe you will be inspired to try on a bit more transparency, too?! I’m not suggesting you tell every person you meet on the street how much your mortgage payment is, but if we can be more frank about our choices and challenges, then I suspect a lot of this “keeping up with the Joneses” nonsense will fade away! Now in order to really fill you in, I plan to write a series of posts — covering in detail everything from our attire to the kiddush to meals for our out of town guests to the special party we planned for our son. I will try to write one or two posts a week, but with all the content to cover, it may take me a month or longer to finish the whole series. If you have questions along the way, feel free to shoot me an email – I’m happy to answer! Today, I want to go over our total budget with you and explain some of our thinking that went into the various components. Keeping in mind that everyone’s family, community and priorities will vary, I hope that this post will be helpful to any of you who are planning a simcha, and especially a Shabbat Bar or Bat Mitzvah. Even if you decide to spend less — or more — than we did, I think just knowing what line items made up our budget will be helpful. One of the easiest ways to overspend is by not anticipating your real costs. It’s my hope that this post will help you to do that. How much do I need to budget for a Bar Mitzvah? If you are asking yourself this question, first of all, let me tell you that you’re on the right track! 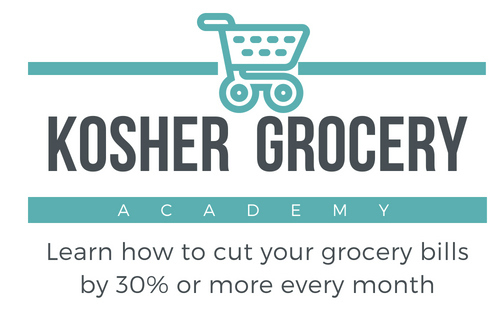 Planning in advance — way in advance — is the best way to ensure that (a) you can afford the choices you are making and (b) that your simcha stays a simcha and doesn’t turn into a stress fest when the credit card bills hit. When most of us hear the words “on a budget”, we assume that means “inexpensive”. But I think that “on a budget” actually means “intentional”. No matter how much or how little you want to spend, making intentional choices about how you allocate your resources is the key to feeling good about those choices in the end. About three and a half years ago, my husband and I started actively saving for the Bar Mitzvahs – we have two Bar Mitzvahs in a little over two years, and then my daughter’s Bat Mitzvah two and a half years later. At the time, we were living in Kansas City, which is a much smaller community than Cleveland, with more “modest” expectations of what a Bar Mitzvah celebration looks like. I initially figured we would spend somewhere between $5,000 and $8,000 on the whole Bar Mitzvah, although I really didn’t have a good sense of what that would look like – and all the various components that would go into it. Figuring we had four years to save for one Bar Mitzvah and another two years to save for the second, we started putting $150 a month into a savings account. That would have netted us $7,200 in 4 years, assuming everything went well, and I felt very comfortable with that amount. In fact, I thought we’d have too much money. Two years ago, we moved to Cleveland and it quickly became apparent that $5,000 wasn’t going to get us far. Our shul has over 350 people attend on an average Shabbat, and I was hearing that many people were spending over $5,000 just on the Kiddush. I knew we couldn’t afford to do that, but I also knew that we were going to have to increase our budget. So we stepped up our monthly saving to $300. Last December, I looked at our bottom line and realized we still were going to fall short. So after a budget meeting with my husband, we agreed to increase our monthly savings for the last 8 months to $500 per month. This meant making a lot of sacrifices in our budget – little things do add up! I started dyeing my grey hair at home (savings: about $75 a month), turned up the temperature on our thermostat (savings: about $35 a month), and elected not to enroll all of our kids in summer activities (savings: about $100 per month). We also cut back at the grocery store (savings: $150 per month) and didn’t buy any new clothing other than the absolute essentials (savings: $50 per month). By the time June rolled around, we were right on target to have enough cash to cover our July Simcha. We had $12,500 – and our budget for the Bar Mitzvah was around $12,300. I know that number sounds big – it sounds big to me, too. But a year or two ago, I had no appreciation for all the many details and pieces go into planning 48 hours worth of meals and activities for people. It adds up really quickly, even when you’re being intentional! What items need to be in my Bar Mitzvah budget? Now that you know how we saved the money, let’s dig into what exactly was included in that budget. (*Gulp*)This is an overview and I will go into more detail about each part in separate posts. Bar Mitzvah Lessons (11 months @ $180/month = $2000) – We briefly considered having my husband teach my son how to leyn, but decided that in the interest of family harmony, it was best to have him work with a “pro”. The relationship my son had with his tutor was incredible. Our son leyned beautifully, but he learned so much more than trop, too. The tutor was an incredible role model for our son and we are so, so glad for our decision. We feel that it was money incredibly well spent; but I recognize that it’s not a small amount, so if you can do it yourself, that will definitely stretch your dollars further. Tefilin ($800) – Someone told me that I was silly to include tefilin in the “Bar Mitzvah budget” because that was an expense for life. True enough, but that’s where we budgeted it, so it remained in our budget. I’ll write more about his tefilin and the bag we got in a later post. Friday afternoon food ($150) – We had out of town guests arriving from Wednesday thru Friday. Since Friday was the busiest day, we decided to order food from a restaurant to casually serve our guests when they stopped by our home. Could I have made something in advance? Definitely. But one of my goals for the week of the Bar Mitzvah was not to be cooking. Friday night dinner ($700) – We served dinner in our home on Friday night to all of our out of town guests — we were 40 people, including my family of five. I am planning to write a whole post about what I cooked, how I did it weeks in advance, where I purchased paper goods, where we rented tables and chairs, how much wine and liquor we bought (and didn’t drink! ), and lots more. Although we spent our full budget, it turns out that I way overcooked; we have a freezer full of food still – and I don’t plan on buying more than produce and milk until the kids go back to school at the end of August! So technically I probably only spent $400 on this meal. Kiddush ($3200) – Gulp. This was so much more than I wanted to spend, but I eventually made my peace with it. (You can ask my husband – it took me a while to get there!) We have an in-house caterer at our shul, which means you are locked into a much higher cost than if you did it yourself. Most smachot at our shul feature an elaborate cholent kiddush, which can run $5,000 – $8,000+. We aren’t the biggest fans of heavy foods like cholent — especially in the summer — so we decided to try something different: A dessert kiddush with an ice cream bar! The caterer told us that we were the first to ever serve ice cream at one of his kiddushes — but he has already gotten a request for ice cream at an upcoming Shabbat Chatan after they saw it at ours! While all the cakes and fruit were pareve, the ice cream bar was dairy. I think kids and adults alike enjoyed it. I just wish we could have taken pictures! Decorations ($120) – This budget covered decorations for the 18 tables at our Kiddush, as well as flowers for my home and the luncheon at shul. More details to follow on how we kept our total to $5 per table (which I was thrilled with! ), but hint: Those are baseball gumballs! Shabbat lunch ($1500) – We had 60 people for lunch, which included all of our out of town guests plus local family. I was initially planning to host this meal at home with a $900 budget (roughly $15 per person), but my husband convinced me to do it at shul in a private room following kiddush. Best.decision.ever. Friday night dinner was a lot of work – even with a waiter and my amazingly awesome friends to help me. I think doing it again on Shabbat afternoon, directly after coming home from shul, would have been super stressful. If we couldn’t have swung the extra $600, I’d have done it – but I’m glad I didn’t have to! We did keep costs down by serving buffet style, using disposables (vs. fine china), and having the same wait staff that had already come in to work at our kiddush. We also brought home a load of left-overs, which we have been eating all week. Seudah Shlishit ($300) – We hosted all of our out of town guests, plus a few local friends, for a casual open house. In total, we were about 80 people. My friends made cold salads, and I baked or purchased the rest of the food. More details on this to follow in a separate post. Kippot ($300) – My son really, really wanted customized klipped kippot. My husband and I were opposed, but in the end, we agreed – it was his bar mitzvah and it really mattered to him. We did ask him to pay half the cost – not because we couldn’t afford it, but because we wanted him to experience putting his “money where his mouth was”. In the end, the kippot were awesome, and I am glad I listened to my kid! Clothing ($650) – This covered three suits – one for each my husband and two sons, along with new shoes and two shirts, ties and pairs of socks for each of them. (If your husband has a suit, you can skip this cost! Unfortunately, my husband hasn’t worn a suit since our wedding.) My 13 year old also got cufflinks and a tallis clip. My daughter and I got two new dresses each, along with new shoes, plus a new hat and shrug for me (both my dresses were sleeveless). I’ll give you the complete run-down on how we saved on our clothing in a separate post. Photographer + Photo Book ($200) – We hired a local photographer to take pictures of us on Friday afternoon and I am planning to put together a photo book online. I am waiting for a coupon code, but I expect to come in well under budget. Sunday Party ($1600) – We had an amazing (in my humble opinion) party for about 60 of our son’s friends and our out of town guests. I will write more about this in a future post, but for now, I’ll tell you that we rented out a suite at a minor league baseball game and catered the food ourselves (chili dogs, French fries, a gorgeous cake and a candy table – his request)! It was a blast and really reflected who he is and what he is passionate about. He even got to throw out the first pitch – how cool is that?! Invitations, Thank You Cards, Postage ($300) – I had not fully considered the cost of postage for thank you cards when I initially made this budget, so I expect we will overspend by about $25 when all is said and done. I have already written a detailed post about what we did for our invitations (a combination of paper and evites) and you can check that out here. Extra Cleaning, Wait Staff & Babysitter ($250) – We hired a waiter to help on Friday night and I had my regular every-other-week cleaning lady come on both Saturday and Sunday mornings to clean the bathrooms and floors. With over 150 people in and out of my house in 24 hours, it helped me to stay sane! I also hired a high school student to help with my daughter at shul on Shabbat morning. My daughter can usually sit for about 20 minutes of davening, and I didn’t want her nudging me throughout services. All of these were dollars very well spent! Donuts & Coffee for both Hanachat Tefillin and Bo B’Yom ($90) – My son put on his tefillin for the first time on the last day of school, so we brought donuts for all the kids in the junior high; his Hebrew birthday was the Sunday before his Bar Mitzvah, so on Monday morning, he leyned and had an aliyah at our shul and we brought coffee and donuts for all the men (and me!). Gifts for Hosts ($90) – We so appreciated our seven friends who hosted family and friends from out of town over Shabbat. We gave each one a beautiful orchid from Trader Joe’s, along with a bag of gold star candies (because they were gold stars for being hosts!) and a hand written card. Candy Bags for Shabbat Morning ($20) – I had a credit to Oh Nuts thanks to that awesome Purim contest, so I had very little out of pocket expenses when it came to our candy bags. And I had some great helpers to put them together! And there you have it: Our total budget for the Bar Mitzvah. As you can see, I included everything — because I want you to get a sense of all the component parts. I definitely learned that everything adds up quickly, so even though we were careful to anticipate the related expenses (donuts, stamps, paper goods, etc. ), we still needed to make intentional choices. Do I wish we could have done it for less? Sure. But I feel good about each choice we made — and most of all, the fact that we planned in advance and were able to pay cash for all of it. Mazal tov! And best of luck to any and all of you in the midst of planning your own simcha! wow i cant breathe after reading that! What tremendous work and preparation! bh its all for simchas:) mazal tov!! Amazing post. We’re now planning for our 4th but your experiences and intentional planning will be just as helpful! Mazel Tov!! Mazal tov on #4! Tell me it gets easier! Very impressive ! And helpful. Your honesty is refreshing. I appreciate your comment so much. I was shaking a bit when I pushed “publish” on this one. How about the cost of the Rabbi? Did you not have to pay him? No, but we do need to make a donation to the shul for our aliyot and kibudim. I need to check with my husband how much that is. I think it’s a few hundred dollars. Thank you for this, Mara. I appreciate your transparency and it’s already helping in my thoughts toward planning our upcoming simcha. I hadn’t thought to include things like clothing and host gifts in the total budget but of course they are purchased for the event so why shouldn’t I? Thank you for another wonderful post! Good luck with your planning and mazal tov! I have been totally thinking about this recently. We have a bar mitzvah, followed six weeks later by a bat mitzvah, and I keep thinking about 1. how will we afford it 2. why would i throw something more expensive than my wedding for my kid(s) and 3. how do you make hoopla for the boy (it inherently calls for more hoopla) and less hoopla for the girl when they are so uber close in age (and ironically, the boy hates hoopla and the girls loves it). i think i am incredibly lucky that our shul lets us cook and that kids do not have parties here. we are also lucky in that our families are small and not the type to visit for a simcha, so everything is smaller by nature. looking forward to hearing the rest of your ideas. OH wow, back to back is tough! Could you combine them? I also think it’s so important that you know already what they will like – and what will overwhelm them. Even my son, who is pretty poised in a crowd, needed 15 minutes by himself when shul was over. It’s an awful lot! Wow! I didn’t think it would cost even close to that much! I’m soooo glad you’re pointing it out now cuz our bar mitzvah is 7 months away and I haven’t started saving at all!! And our daughters bas mitzvah is the same exact weekend!! Thanks for waking me up!! Better start saving immediately!!! Different communities, different costs – but definitely start fleshing it out now! Mazal tov on your “Bart” Mitzvah (I have a friend who had a joint Bar and Bat Mitzvah weekend, too – and I kept joking that it was a “Bart” Mitzvah). This was very impressive. I am making a wedding now, and I know all about the overruns. I love your centerpieces! I have been looking for a place to order the cylindrical vases for the Aufruf meals but they are so expensive. Where did you get yours? You can order them by the case to pick up at your local Dollar Tree (they’ll have some in stock, but if you need a bunch, that may be safer). My son was born on a fast day, so we couldn’t do anything on his birthday. The afternoon before his birthday we brought deli subs and fries to school and had a whole party in his classroom. I was nervous it would look pathetic, but it ended up being really nice. We pulled my other kids out of class and his grandparents joined too. The Rebbe and principal spoke. He’s kind of a quiet loner type kid, so I think he enjoyed it more than a big event. It was also way cheaper than a big event. Very nice! I think it’s so important to know your kid — and make sure that it’s about them, as much as (if not more than) anything else! Thanks for your post! I have four boys and I’m planning my first Bar Mitzvah for my 12 year old. I want to make sure whatever I do I can afford to do 4 times! Oh gosh – you’ve got your work cut out for you! Good luck with all your planning over the next year! Fabulous post, Mara! If we all shared more, I think it would benefit everyone! The whole “keeping up with the Cohen’s” thing is awful. I love the idea of sharing and creating the feeling of community. Simcha should be about simcha as much as possible; not about impressing our neighbors. That being said, of course we all want our simchas to be nice and have the kavod they deserve, and we want our kids to be happy! Thank you so much for sharing. Thank you! I’m so glad you got something out of the post – and I appreciate you comment about balancing saving money with making some nice and relevant for our kids. It’s hard to balance all those pieces! This was such an amazing read. I really hit home. Though I made a barmitzvah 2 years ago & e’H will be making another barmitzvah in 2 years with a bat mitzvah in between, I feel this helped a lot. Definitely will be doing more budgeting as circumstances have changed for us. It’s so good also to have that experience under your belt- experience is the best “teacher” I’ve ever had. Sounds like you’ll have a busy next 2 years! I have $1.47 in my checking account. I can’t even afford the membership at the temple, let alone any of this. My husband and I both work professional jobs. I just think it is so sad that I had to pull my kids out of the Hebrew academy they were going to because I couldn’t even afford the 75% off tuition they gave us. For years I told my son to be excited for his Bar Mitzvah. I’ve had to tell him we can’t afford to be Jewish. He won’t be able to have a Bar Mitzvah. ; the one thing I promised to my dad before he died I would do for my son-and I can’t. Your post made me feel very sad. Every Jewish boy has a bar mitzvah simply by waking up on his 13th birthday! Having an Aliyah or Leyning from the Torah is extra. And, the celebration is what you make of it. I know it feels like pressure to do what the other families are doing, but there are many options besides all or nothing. I hope that in the end you son was able to feel special on the day he turned Bar Mitzvah and that he will retain positive feelings about being Jewish. I am sorry this milestone was so difficult for your family. Hi Rena — I’m sorry that I gave you the impression that this milestone was difficult for our family. Not in any way! It was beautiful and joyous and exactly as it should be and my son wanted! He definitely felt special! We are very intentional about how we spend our money — and making sure that it fits our values and priorities. I wrote this post to share one way that families can do this… and hopefully to inspire others to focus on what matters most to them! (Rather than getting caught up in others’ pressure.) All the best!